When the economy is near the end of the business cycle there tends to be excess leverage taken out by businesses and consumers. The recession washes away the bad loans to get back to equilibrium. It was important for the housing market to cool off after the run in the 2000s because housing became unaffordable. The size of the bubble and the terrible lending standards were the problem, not the recession. 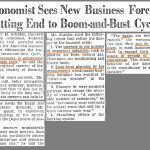 There is a notion that just because the current expansion is about to be the longest in over 100 years the economy needs another recession. In fact, the economy doesn’t need another recession because consumers and corporations haven’t taken out excess leverage. There is negative recency bias because the last recession was a disaster and because this expansion has been very long by America’s historical standards. The longer it goes, the stronger the bias gets because people think we are a due for a huge crash. There are obviously solid bearish arguments why stocks should fall and the economy should go into a recession soon, once we have evaluated in the past considerably. However, claiming personal and corporate leverage are too high is not a good argument. 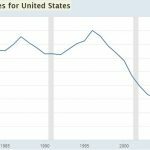 Most mainstream articles in finance lament how terrible Americans’ finances are. There are a plethora of articles showing Americans how to save. It’s heresy to say the American consumer is saving too much. 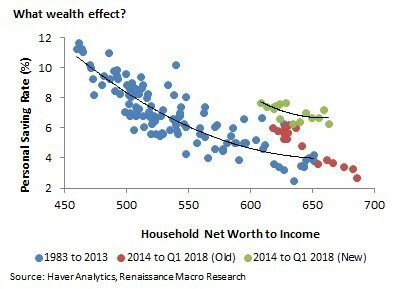 The Renaissance Macro Research chart below shows the consumer is saving more than usual after the latest update to this calculation was made. The chart shows when there is a high net worth to income ratio, consumers usually save less money. 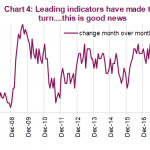 The theory is that when housing prices and stock prices are increasing, consumers are optimistic about their gains. They feel richer and spend more money. The reality is you shouldn’t expect the good times to continue indefinitely. Asset prices can go down, making it a mistake to shrink your savings. It may end up being a bad idea to buy assets when prices are high, but no one says you need to buy assets with your savings at that point. You can build up a cash position in your portfolio to buy during the next correction, when prices of assets fall. This however requires lots of patience and discipline. The past 4 years have been different from the period between 1983 to 2013 because the new heightened savings rate isn’t inversely correlated with the net worth to income ratio. As you can see, the data fit nicely in the curve before it was revised. Now it shows the consumer is being too cautious. They may fear another financial crisis. To be clear, this data will be revised again, potentially showing something new. The truth is, we are terrible at calculating savings, one way or another. However, just because a calculation may not be perfect and could be revised, doesn’t mean we should disregard it because its susceptible to changes. We simply need to recognize it is only one part of the thesis. That chart above shows long term data. Let’s switch gears and look at the latest consumer credit report which is from June. Consumer credit increased only $10.2 billion in June which missed the consensus for a $16 billion increase. The May revised increase was $24.3 billion. 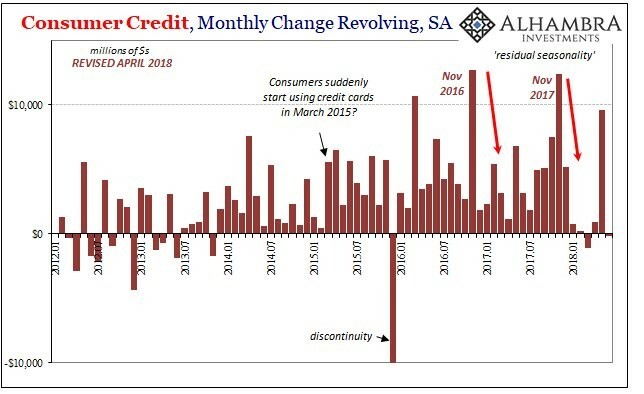 The June report doesn’t make it look like the consumer at their peak ability to borrow. To be clear, if the economy falls into a recession, the jobless rate will increase, which will hurt the consumer. The point here is that the consumer is in good shape to handle peril because they are not excessively leveraged. The chart above shows the historically revised seasonally adjusted monthly change in the consumers’ revolving credit. The consumer has been financially responsible this year outside of the large increase in May. Revolving credit was down 0.2% in June (annual rate) and non-revolving credit was up 4.4%. That growth is down from 11.2% and 6.2% respectively in May. May’s revolving credit had its biggest increase since November which is related to the holiday spending increase. Revolving credit is credit cards (down $0.2 billion in June) and non-revolving credit is vehicle financing and student loans (up $10.4 billion). In Q1 2018, 8% of credit card loans were 90+ days delinquent. This was the highest delinquency rate since Q3 2015. Student loans have a stranglehold on young adults. They are problematic because just when young people want to start families and buy a house, they are saddled with tens of thousands of dollars in debt. This explains why millennials are getting married and buying houses later in life. The good news is the student loan situation might be getting better. In Q1 2018, the delinquency rate on student loans fell to 10.7% which was the lowest rate since Q2 2012. As you can see from the FRED chart below, the growth in student loans fell to 5.6% in Q1 2018. To be clear, if the growth rate didn’t fall from the teens, it would eventually encompass the entire economy. This means it had to fall. Still, if the growth rate keeps falling, it will eventually grow slower than GDP and nominal wages. Falling housing prices right before, during, and after the 2008 financial crisis made housing more affordable. 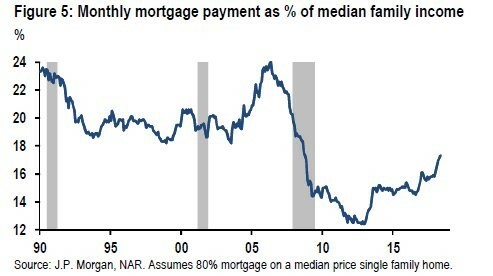 Affordability still looks healthy as the JP Morgan chart below shows the monthly mortgage payments as a percentage of median family income is below where it was in the 1990s and 2000s. Rising interest rates could ruin the positive environment for housing since 30 year fixed mortgages are now at around 4.5% interest rate which is where rates were in early 2014. Corporate debt as a percent of GDP is at a record high, but that doesn’t matter because firms have more international profits than ever before. 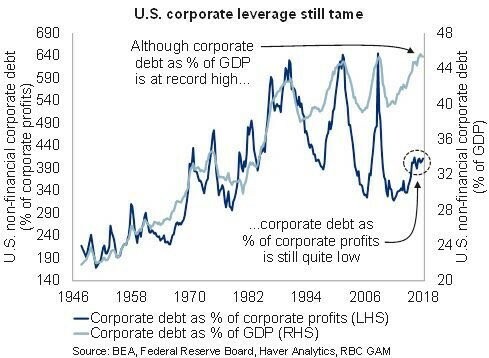 The chart below shows corporate debt as a percentage of corporate profits is still low. 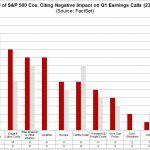 This rate will increase if earnings fall in a recession, but the point is corporations aren’t in need of a recession to cleanse the system like many economists claim. The economy isn’t in need of a recession because consumers and corporations haven’t taken out excess leverage. In June, consumers actually paid off some of their credit card debt. This expansion has solid footing, meaning it probably won’t end with a consumer or corporate debt crisis. If you are interested to read more about this topic here are two previous articles: Housing Market Leverage, and Explanation of Corporate Debt & Leverage Loans.